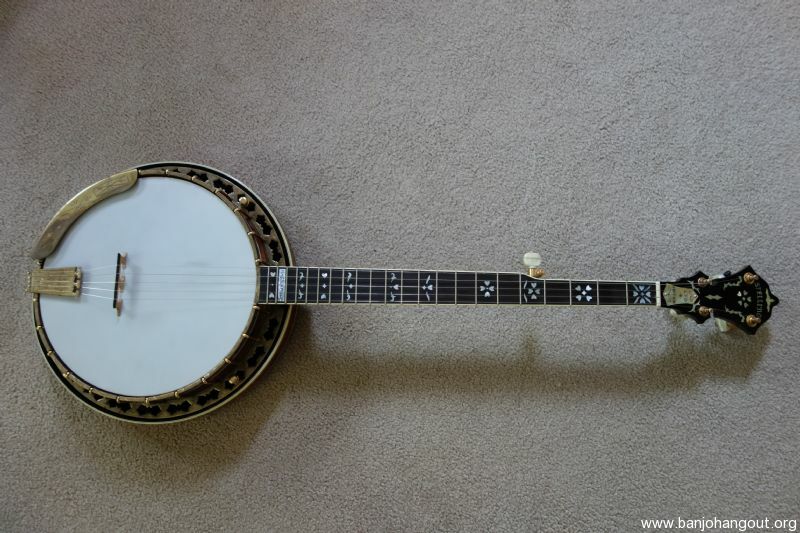 This is a rare limited production and collectible all-original banjo. Only 100 were produced from 1980 through 1996. 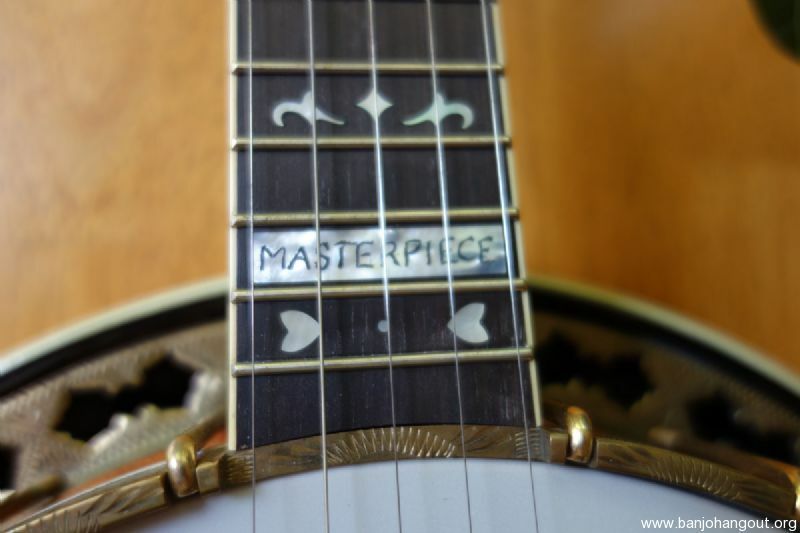 This banjo is in very good condition with some wear to the gold plating on the armrest. 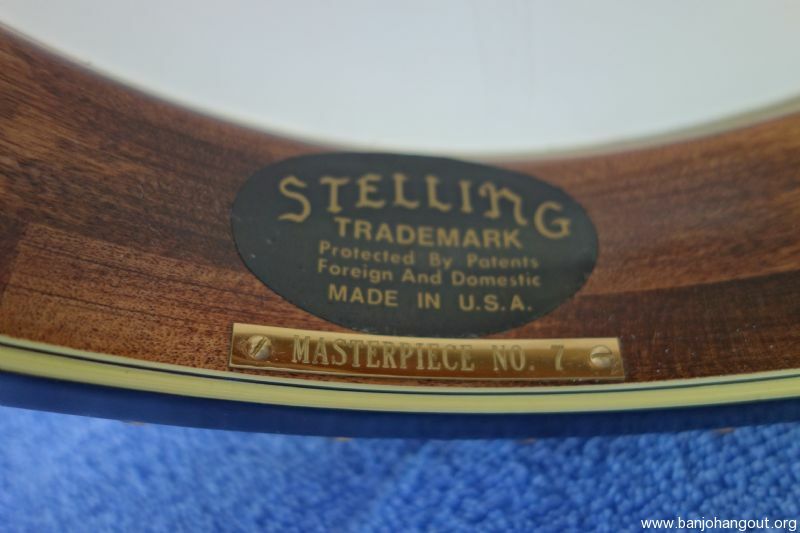 It has the Serial Number 7 engraved plate on the inside of the banjo (overall Stelling serial number is 1965). 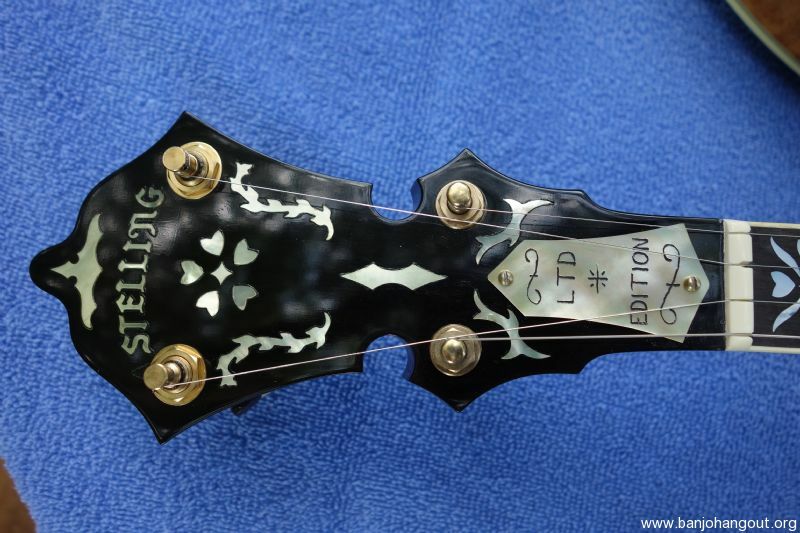 (As a side note, Ben Eldridge of the Seldom Scene had Masterpiece serial number 6). Comes with original invoice and paperwork. It is finished in antique gold plating with heavy engraving and the wood has a beautiful deep and bold flame maple grain stained in the Cremona style. It still has the original Snuffy Smith bridge. 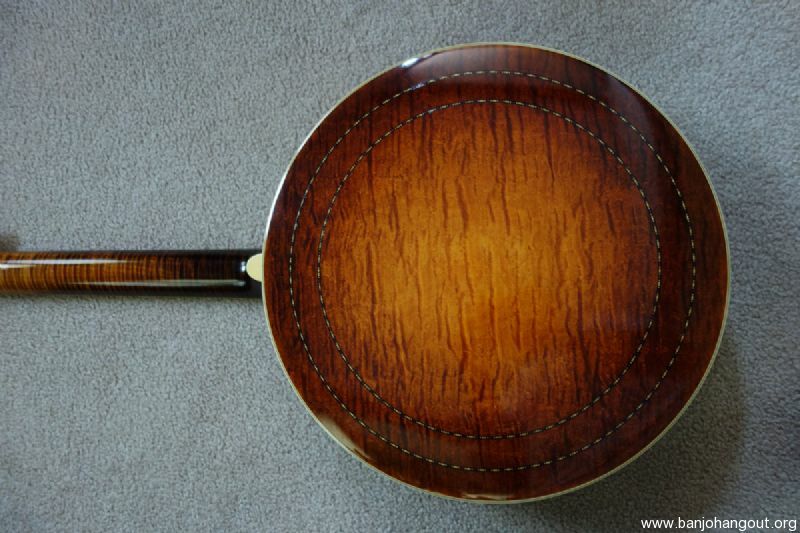 It is a loud banjo and plays as smooth as when it first came from the factory. 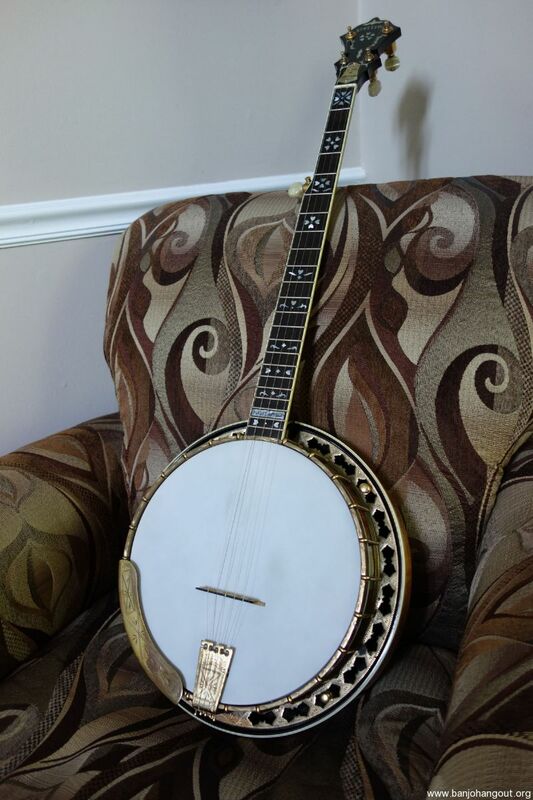 The banjo has only been played a few hours since it was at the Stelling factory in 2008 for a fresh setup. 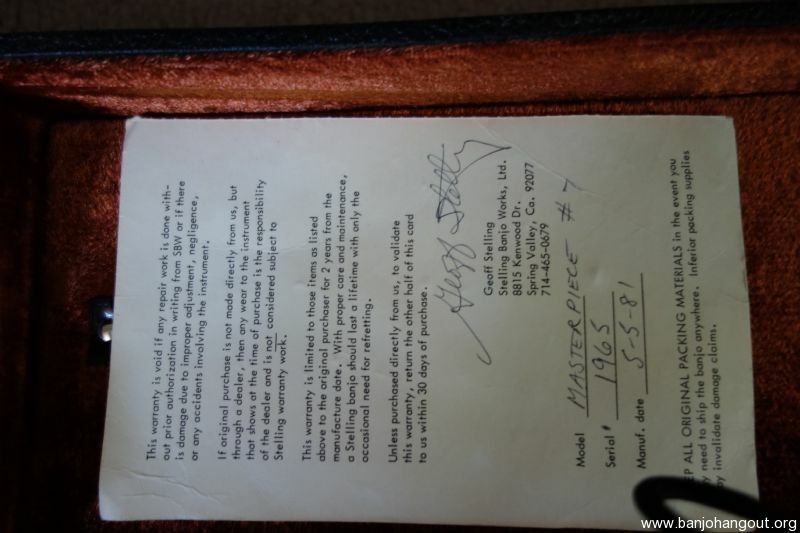 This banjo was played on stage at many SPGMA and MABC festivals in the Midwest during the 1980’s and 1990’s. It comes with the original case with some minor wear. I have too many instruments and would love to see this one go to a good home. If you would like to see more photos, please let me know the details and I will send ASAP. Serious inquiries only please. Inspection and hands-on by appointment. This ad will automatically expire 5/10/2019 5:44:38 AM unless updated before that date. To keep the system current, ads expire if not updated for more than 60 days.